In tabular terms, it is the top game of the 29th game day of the Bundesliga. Emotionally, however, many fans should rate the matter somewhat differently. So both clubs are not too popular due to the fact that big investors – Red Bull in the Saxons and Volkswagen in the Lower Saxony – have pushed the clubs with a lot of money in professional football. However, that does not change their success. Both the Red Bulls and the Wolves are likely to represent the Beletage of German football for the 2019/20 season in UEFA competitions, if the table remains so until the end of the season. The Leipzig would start as a current third even for the second time in club history in the Champions League, while the wolves with the most important European competition for club teams at seven points behind fourth place also have not fully completed. Nevertheless, the bookmakers see in RB Leipzig vs Wolfsburg according to the odds the crystal clear favorites. That’s probably because Ralf Rangnick’s team has a great run at home, not losing one of their last four home games, last time outclassing Hertha BSC 5-0, and conceding only one goal in those four games. At RB Leipzig vs. Wolfsburg must be included in the prediction but also the outward strength of the wolves. Seven of the 14 games in the distance won the VfL in the season so far, bringing more counters in foreign places than at home. It’s all the more difficult to find an accurate tip in the classic 3-way system at RB Leipzig vs Wolfsburg, which is why we choose to bet on under 2.5 goals in this top game. Currently, things are going really well for the Red Bulls in all respects. 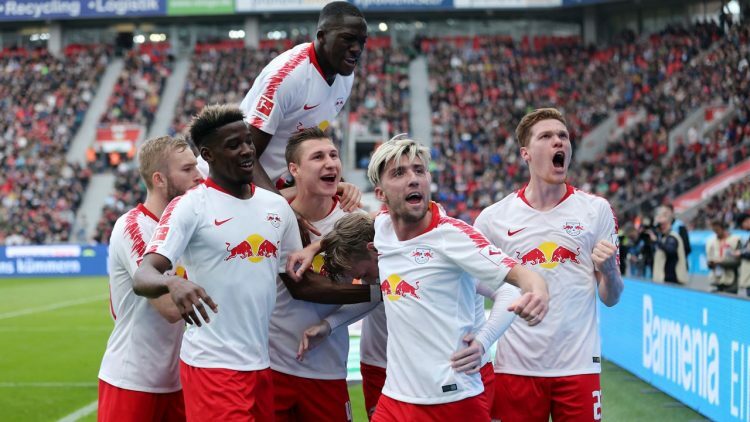 Despite a total of four defeats RB Leipzig – runner-up of the season 2016/17 – already complete the first round on a starting place for the Champions League. An impression that the Saxons clearly confirmed in the second half of the season. Seven wins from eleven games now mean a thick cushion of seven points ahead of fifth place, which is why only six games remaining so slowly but surely the argument “Champions League” may be woven into the contract renewals and negotiations with potential new entrants. In the run-up to the season said Ralf Rangnick, who has intermittently sat on the bench to keep the prematurely committed Julian Nagelsmann chair, that he wanted to hand over to his successor a Champions League participants. The veteran seems to keep his word. One of the means of success in the concept of the coaching fox, who at that time already led TSG Hoffenheim into the Beletage of German football, is the good old offside trap. The Red Bulls are remarkably high and have between defense and goal line the second highest average distance of the entire league behind Bayern. Particularly noteworthy: Against the highly attacking defensive hardly an opponent is a recipe for success, because Leipzig is the best defense of the entire Bundesliga with only 22 goals from 28 league games, which also shows in the last four home games: No defeat and a goal difference of 6: 1. No wonder that at RB Leipzig vs Wolfsburg turn out the odds of bookmakers in the direction of the Leipzig, who have recently reached the DFB Cup semi-final with a 2-1 away win at FC Augsburg for the first time in club history. With the away game at the second-rate Hamburger SV in front of the chest are even the chances of the finals very good. Although two important players may have to pause against the wolves with the badly caught Poulsen, who still has to take antibiotics after an angina and the suspended Orban (fifth yellow card) in addition to the long-term injured, the Red Bulls could hardly do better at the moment. For a moment, it looked as if VfL Wolfsburg, who had been so well placed in the second half of the season, would get off track. Initially, Bruno Labbadia informed the club that he did not intend to extend his end of the season expiring contract. Then there was promptly 0: 6 at Bayern Munich a remarkably high swatter. Paired with the 0: 2 at Borussia Dortmund, as both goals but only in the literal last second fell, the otherwise so strong away Niedersachsen so that last two times in series in the distance did not win, but proved overall high morale. So it says these days namely nothing at all, if the Wolfsburg fall behind. This has happened to VfL every time in the last four games. In the end, six out of twelve possible points were recorded, making the German Champion of the Year 2009 after a few difficult years dream of returning to Europe. Should it come to the final between Bayern and Leipzig in the DFB Cup, seventh place in the Bundesliga would certainly be enough for the Europa League. Instead, the Lower Saxony even want to attack the top four with a good rest program, so they can start at the Red Bull Arena in Leipzig. Overall, at RB Leipzig against Wolfsburg in a tip two factors should be considered. Firstly, the fact that VfL won seven of its 14 away games in the Bundesliga and scored more points in the distance than at home. And second, the first leg, which Wolfsburg won 1-0 against the Red Bulls. But with goalkeeper Koen Casteels and defensive midfielder Ignacio Camacho, Bruno Labbadia has to give up two central pillars in his game, which may even weigh more heavily. After all, the outgoing VfL coach is known to rotate only slightly. A total of eight clashes between RB Leipzig and VfL Wolfsburg so far been given and with four games won the Red Bulls lead the “head to head” comparison just before the three victories of Wolfsburg. A single draw completes the direct comparison. In the current season it is already the third duel between the two teams. 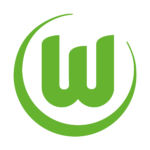 First, the Wolves won in the Bundesliga first round at home 1-0, before Leipzig reciprocated in the DFB Cup knockout stages and even a 1-0 home win. If both teams remain loyal to this line, next to the market “Under 2.5” goals is also the “Maximum one team meets” between RB Leipzig and Wolfsburg a brand new prediction. At least for the classic 3-way system, it is not easy to give a suitable tip at RB Leipzig vs Wolfsburg. Both teams defend well in principle, but have to compensate for failures. Meanwhile, the home side even need to give up their cold Toptorjäger Poulsen, which is why relatively much speaks for the fact that for the third time this season between the two opponents in the end a single goal will make the difference. In principle, we see the Red Bulls ahead because of their recent run and pent up momentum. The bottom line is the odds of 1.60 for the home win of the Saxons one track too low, so here is enough value in the bet. Finally, Leipzig has remained in three of their last six home games without their own goal and must now compensate even Yussuf Poulsen. Thus, at RB Leipzig vs. Wolfsburg a tip on good odds that under 2.5 goals in this top game will fall, a significant trail more sustainable.